← Heading to Asheville, NC – ABSFest, here we come! This week, Tuesday is my Sunday. We were in Asheville over the holiday weekend, and I took today off as well to have that “buffer” day before going back to work. So today I’m cooking for what’s left of the week. The yummy dishes I’m fixing include Collard Greens with Black Beans & Sausage, Roasted Curried Cauliflower, and Zucchini Bread. Mmmmm. I have a delicious, healthy recipe that I’ll share with you today. 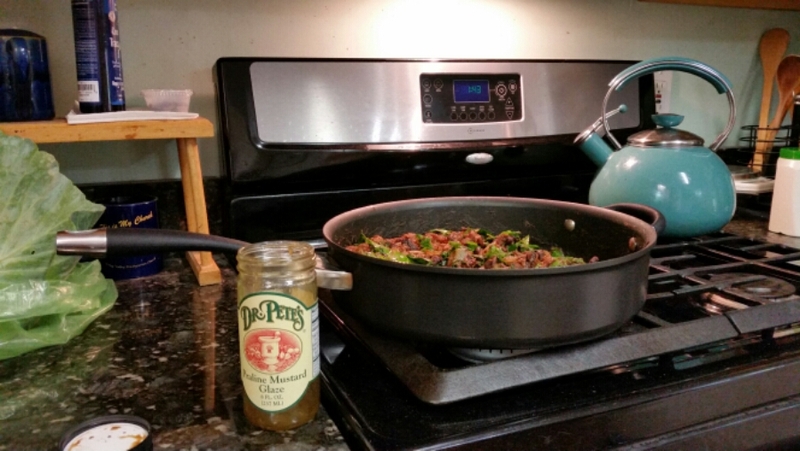 As a side note, I used Dr. Pete’s Praline Mustard Glaze for the collard greens dish – featured in the picture. REALLY tasty. Beat eggs, applesauce, vanilla, and sugar together in a large bowl. Add sifted ingredients to the creamed mixture, and beat well. Stir in zucchini and nuts until well combined. Pour batter into prepared pans. 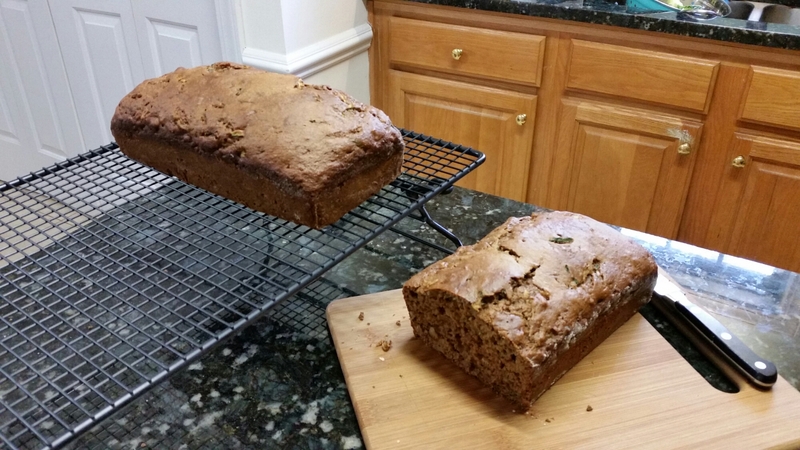 This entry was posted in Life and tagged Healthy eating, Real Food, Recipes. Bookmark the permalink.